Over the weekend, did you see #BlogAtTheBeach trending on Twitter? Trending, that’s right! Well, the reason for that was, on Saturday, we held our third Blog At The Beach at Lambert’s Yard in Leeds! 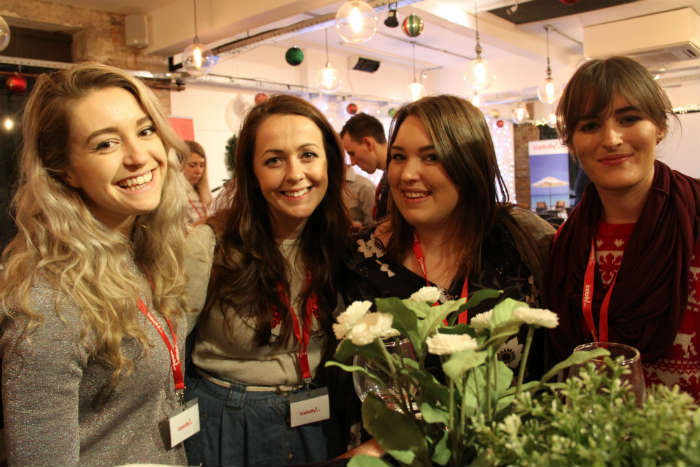 Blog At The Beach is an event we created in 2015 so that we can meet bloggers and influencers from all over the UK. It also gives bloggers and influencers a chance to meet the icelolly.com team too. You never know, they might not want to work with us after seeing our ugly mugs but we hope they do! This time around, the theme was a tropical Christmas party. We wanted to start feeling all festive in the run up to Christmas and want better way to do that than by enjoying some mulled wine with a tropical twist? 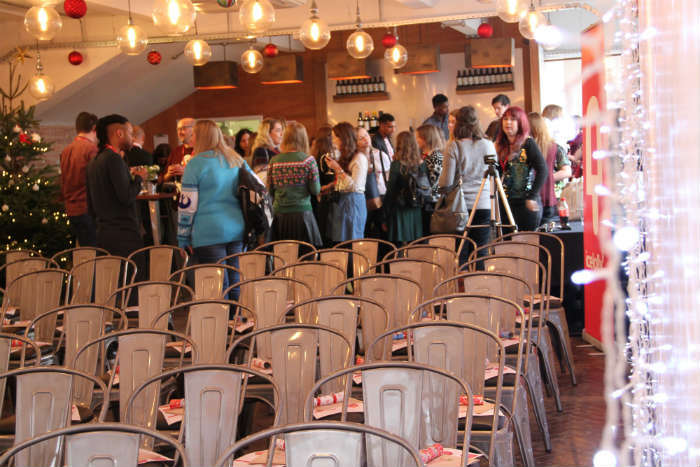 As 50 bloggers turned up, we had Christmas music on steel drums playing, fairy lights surrounding the venue and 3 speakers who were ready to pass on their knowledge about Pinterest, SEO and Instagram. Elizabeth was the first speaker to take to the stage. She spoke about Pinterest and the best practices for using the platform and how it can help drive traffic to a blog or website. Then Judith, an SEO Specialist was up next, ready to wow the audience with free chocolate and tips on how to boost a blogs visibility on the web. Last to do her presentation was Sabina who discussed how it’s possible to make your Instagram stand out from the crowd and get likes and followers organically. It wasn’t all about learning though, with it being nearly Christmas, we had to have some fun! Mulled wine was flowing, there were free drinks being handed out, there was a huge buffet lunch and there was even a competition for people to take part in if they wanted to. There were two lucky winners, Asma from Jet Set Chick who won a Go Pro Session and Nikki from Yorkshire Wonders, who won a city break to Barcelona! They had completed challenges throughout the day – finding our creepy elf somewhere in the venue, doing Snapchat face swaps with icelolly.com team members and requesting songs for our Blog At The Beach festive playlist – and Asma and Nikki were our lucky winners! After the event was over though, when the mulled wine had disappeared and the talks had ended, goodbyes were said and that was it for another year. For some though, the night wasn’t over. Cocktails were waiting at The Alchemist and it was time for everyone to relax and enjoy the evening. We drank colour changing cocktails, smoking cocktails and delicious cocktails that ended our third Blog At The Beach event perfectly. Thank you so much to everyone that came to Blog At The Beach. 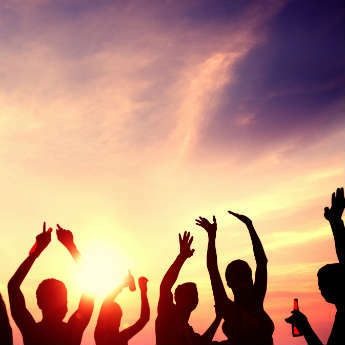 We hope you all had as much fun as we did and we hope we see you at the next one!